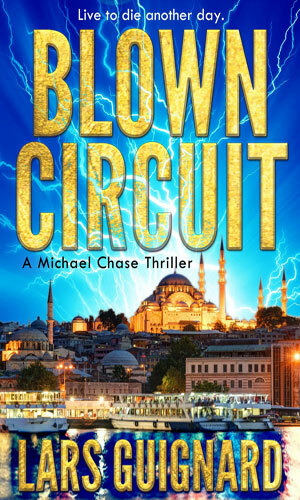 Michael Chase is an agent with the CIA. Not at first, mind you. At first he is a man of 26 who was told six months before the start of the series that his father, a man he greatly respected and from whom he learned a lot growing up, had died overseas six months before while visiting China on business. No body was recovered so the casket the family buried in the funeral was empty. He had no intention of getting involved in anything remotely like the cloak and dagger business but things do not always go according to Plan A. Chase had graduated college with a double major in computer science and history but though he had his share of chances at good paying jobs in the technology field, he chose to go it on his own which turned out to mean being a barista at a Starbucks while he worked on his own mobile app. Gradually to his own dissatisfaction, he fell into a "twenty-something malaise". That condition changed drastically when a call came to him indicating the death was no accident. The message came from a close friend of his father, a man named Ted, who had been one of the pallbearers at the service and who now let him know that the truth was only to be found in that far-away country. To anyone who might have asked, Chase's actions of heading to China with apparently no plan and no backup to try to learn what happened might have seemed reckless and reckless was not something most people would call Chase. While he might have been stuck in a rut at home, he was self-trained to be able to function on his own. Growing up his father had at many times used situations to instill in Chase an understanding of how life really was and how he should deal with it. While vacationing with his father in Peru, he had been kidnapped by unknown assailants. When things did not go the kidnappers' way, they left him abandoned in a mine shaft and he had to use his own ingenuity to escape. From that he learned to be prepared to have to get out of trouble on his own. Help was nice. Survival was necessary. Afterwards, at his father's insistence, he learned karate as a child gaining his first black belt at 16 and making Second Dan when he was in college. His dad also made sure he knew which end of a gun was best to hold in a fight. Even better, he learned when a fight was inevitable and when he could and should retreat. Chase did not know as he learned these skills that he might one day need them but he soon found that out. 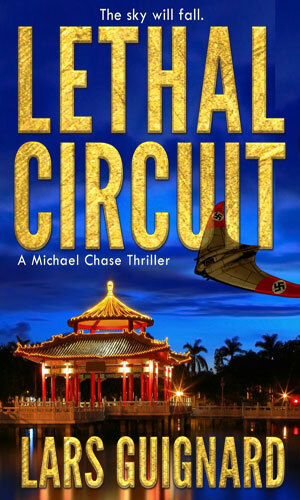 Michael Chase came to Hong Kong to confront the killer of his father. He found an organization called The Conspiracy and a race to get hold of technology that could help it take over the world. Information coming out of Turkey hints at a terrorist group with a device made by Nikola Tesla that could bring the world to its knees, putting the group in total control. Michael Chase is sent there to make that not happen. The action in this series started almost from the first page and did not let up throughout its pages. Nevertheless, it did not grab me for about a hundred pages but without realizing it, I was indeed grabbed. The author threw in a fair number of twists in the plot, some that made sense and a couple that did not until later. There were one or two "didn't see that coming" which is always nice. Even nicer was the start of more than one chapter with a short but always interesting anecdote of some event in Chase's upbringing that would have a bearing on his reaction or lack thereof to something important. This did a good job of keeping the "huh?" level down as it let the reader know beforehand enough to understand and believe when something special was about to unfold. That was a very good touch. At this writing there are two books in the series and a third one on the way. I want to read that third because I am curious what happens next and that is a good thing for an author to leave his reader wondering.